It’s not enough for MB&F to make crazy, high-end ($US158,000) watches like the M4 Thunderbolt. It has also decided to make a music box that looks like an alien spaceship, with the MusicMachine. 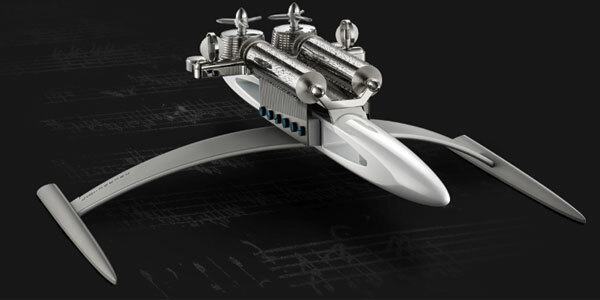 Not for MB&F is the humble music box. The Swiss watchmaker has joined with Reuge, a 150-year-old Swiss music box maker, to make a music player that displays thinking outside the box. Outside the atmosphere really. 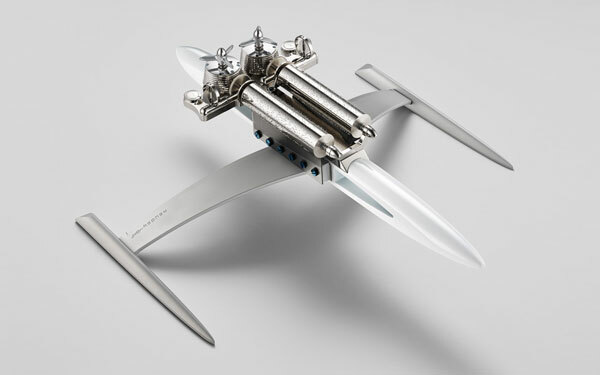 The MB&F MusicMachine is 395 wide x 475 long x 165 mm high, and weighs 2.97 kilograms. The amplification chamber is made of walnut, while the outriggers are bead-blasted and anodised aluminium, the barrels stainless steel, and the cylinders of brass. There is a left and right cylinder, each with seventy-two notes, and that each play three different tunes. So, it’s two radio station playing extracts of songs – 35 seconds in length – with classic rock on one side, and sci-fi on the other. 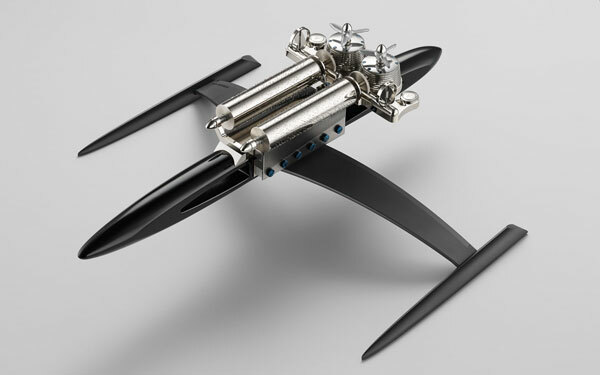 Only 66 of the MB&F MusicMachines have been made, 33 in black, and 33 in white. The price? A little over $14,500 Australian. Click below to watch this video interview with Charris Yadigaroglou, the Head of Communications for MB&F. See the MusicMachine in action, learn a little more about the design, and hear some of the song extracts.